We can’t tell you how PSYCHED we were to see Desi Linden win the Boston Marathon this year — and to do it by showing such heart-touching sportsmanship at that. It was truly one of our fave moments in sports history, ever. (No, you’re crying.) And while we encourage you (and ourselves!) 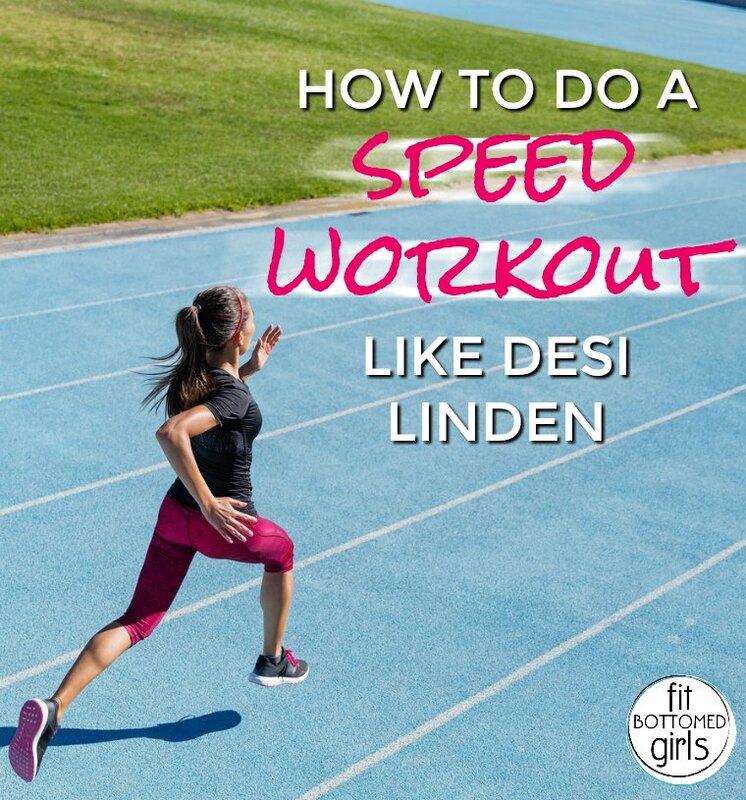 to go out and show character like Desi today (and every day), here’s one of her speed workouts from Hansons Marathon Method so that you can run like her, too. Because, damn, she’s fast. Let’s take a look at this excerpt from Hansons Marathon Method to explore the Hansons approach to speed workouts, aka interval workouts. With speed workouts, marathon training begins to get more interesting. When we refer to speed training, we are talking about interval sessions, also called repeat workouts. Speed workouts require you to run multiple bouts of certain distances at high intensities with recovery between each. This type of training not only plays a role in prompting some of the important physiological changes we need but also teaches your mind to handle harder work. Surprisingly, advanced runners often make the same mistakes that novices do in terms of speed training; namely, they neglect it. If you are new to marathoning and your past speed workouts have consisted of simply running some days slightly faster than others, you are in the majority. Luckily, the speed workouts we give you can provide an introductory course on how to implement harder workouts. As you learn to properly implement speed workouts, your training will be transformed from a somewhat aimless approach to fitness to a guided plan of attack. As in other workouts, correct pacing is essential. The speed workouts are shorter intervals ideally at 95 to 98 percent of VO2 max pace. In addition to pace, the duration of the speed intervals is important. Optimal duration lies between 2 and 8 minutes. If it is too short, the amount of time spent at optimal intensity is minimized and precious workout time is wasted; if it is too long, lactic acid builds up, and you are too tired to complete the workout at the desired pace. As a result, the length of speed intervals should be adjusted to your ability and experience levels. Recovery is another important part of speed sessions, allowing you the rest you need to complete another interval. Guidelines for recovery generally state that it should be between 50 and 100 percent of the repeat duration time. For instance, if the repeat is 2 minutes in duration, the recovery should be between 1 and 2 minutes. If you run a 5K in 16:00, your 400 pace for this workout should be 1:18. If you run a 5K in 20:00, your 400 pace for this workout should be 1:38. If you run a 5K in 24:00, your 400 pace for this workout should be 1:58. 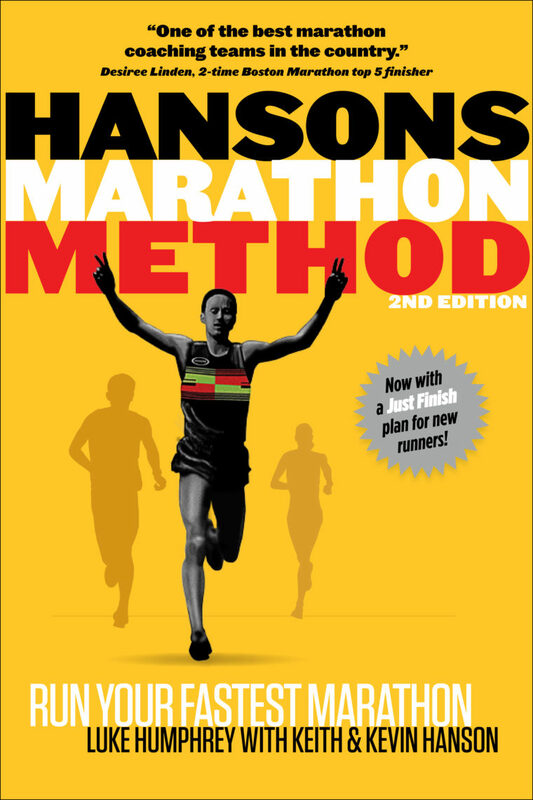 Reprinted from Hansons Marathon Method, 2nd Edition, by Luke Humphrey with Keith and Kevin Hanson. Copyright (c) 2016 Luke Humphrey with Keith and Kevin Hanson. By permission of VeloPress. Available wherever books are sold. Do you know how to slow down your age? The workout is really very essential for your body. One-two punch keeps your blood flowing smoothly, which decreases your risk of cardiovascular diseases. Regular exercise helps to prevent or manage a wide range of health problems and concerns, including stroke, metabolic syndrome, type 2 diabetes, depression, a number of types of cancer, arthritis, and falls. So we should prefer to do a workout on a regular base. Great post. one of the best way to lose weight.